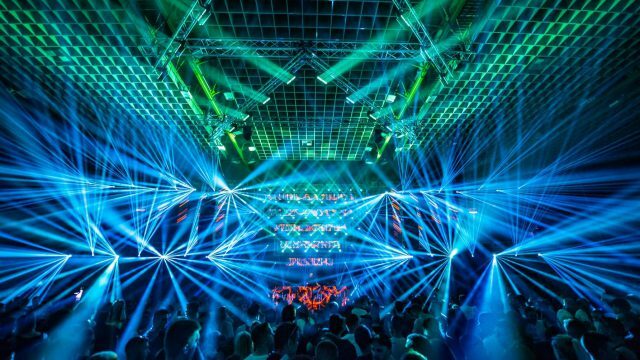 LAS VEGAS, NV – From a wash-beam effect with a ring of nine LEDs and continuous 360° pan/tilt movement, to an indoor/outdoor video panel with magnetic LED modules, CHAUVET Professional will be showcasing a wide array of groundbreaking solutions for lighting professionals at this year’s LDI show. Certain to attract instant attention at the company’s LDI booth (1415) is the new Maverick MK Pyxis. 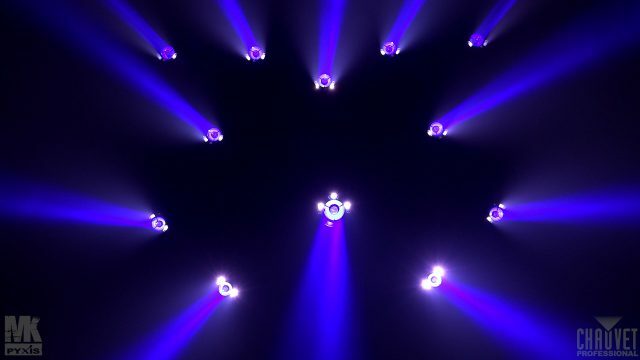 Featuring a unique design that includes an outer ring of RGBW LEDs, a powerful zooming center pixel, 360° continuous pan and tilt movement and a host of other performance features, the new fixture produces an seemingly endless array of looks and can fill a variety of roles from beam, to wash, to set piece effect. At the center of the Pyxis is a single homogenous 60W RGBW LED with a fixed 3° beam angle. Surrounding this pixel is an outer ring made up of nine 15W RGBW LEDS with a 7° to 45° zoom angle. Working together, the center pixel and outer ring are capable of creating mesmerizing looks. A built-in virtual gobo wheel with background colors can be used to make the outer ring appear as if it’s spinning. With a combined center pixel and outer ring illuminance of 27,560 lux at 5 meters, the fixture has the output needed for arena applications. Featuring a four-blade framing shutter system with rotation and dual axis movement for each shutter, the Maverick MK2 Profile allows users to shape and size beams with great precision. The fixture’s iris, 3-facet motorized rotating prism, and motorized frost provide added beam control, and it 16-bit dimming of master dimmer results in smooth control of fades. 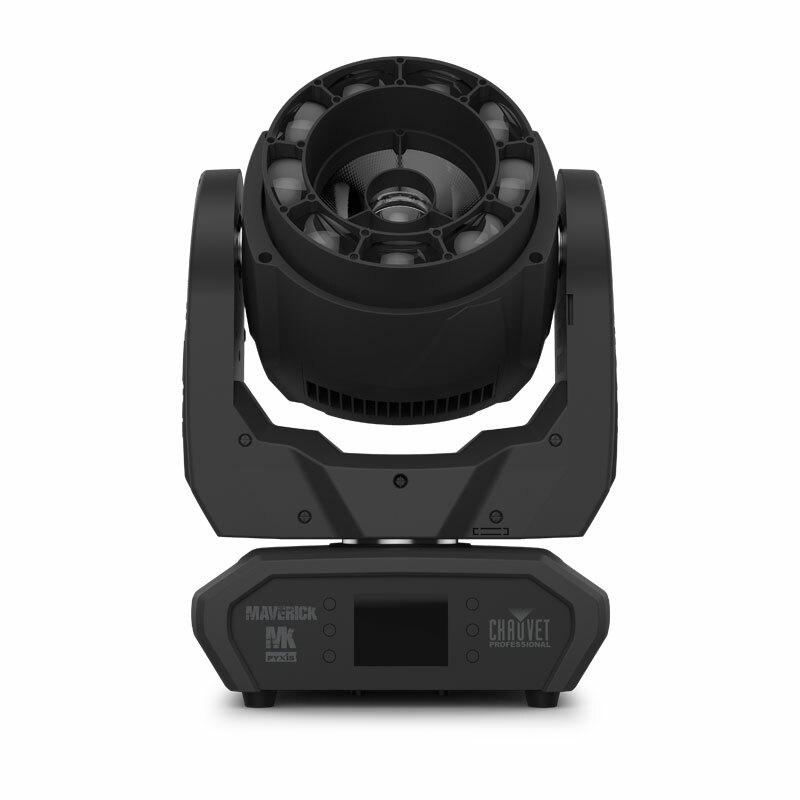 Joining the Maverick Pyxis and Profile at LDI is the Maverick MK3 Wash, a high-output RGBW moving yoke fixture powered by 27 40W Osram LEDS. Possessing the power to handle long throw applications at arenas, this muscular addition to the Maverick series features a 7° to 45° zoom angle and a CTO color-mixing option, as well as built-in color macros and built-in virtual gobo wheel with background colors for added design possibilities. 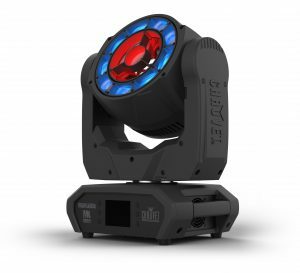 The pixel mappable Maverick MK3 Wash works with a range of control protocols, including DMX, sACN, Art-Net, Kling-Net and W-DMX. This versatile fixture is also RDM enabled for remote accessing. In addition to its new Maverick fixtures, CHAUVET Professional will be showcasing two groundbreaking series of video panels at LDI: The F4IP and F3. A high-performance outdoor -rated panel with brilliant SMD, a pixel pitch of 4.8 mm, a refresh rate of 3,840Hz, and high contrast 5,500 NITS, the VIP F4IP displays clear crisp images even in broad daylight, making it well-suited for festival applications. The user-friendly IP65-rated panel features magnetic LED modules for quick and easy installation and maintenance.